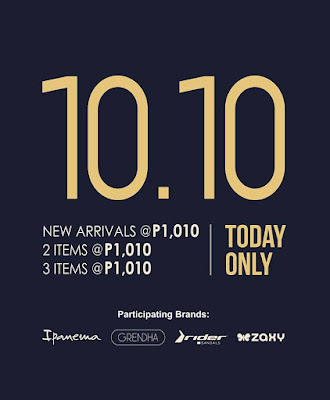 Make October 10, 2018 your special day with BAMBU's 10.10 SALE! 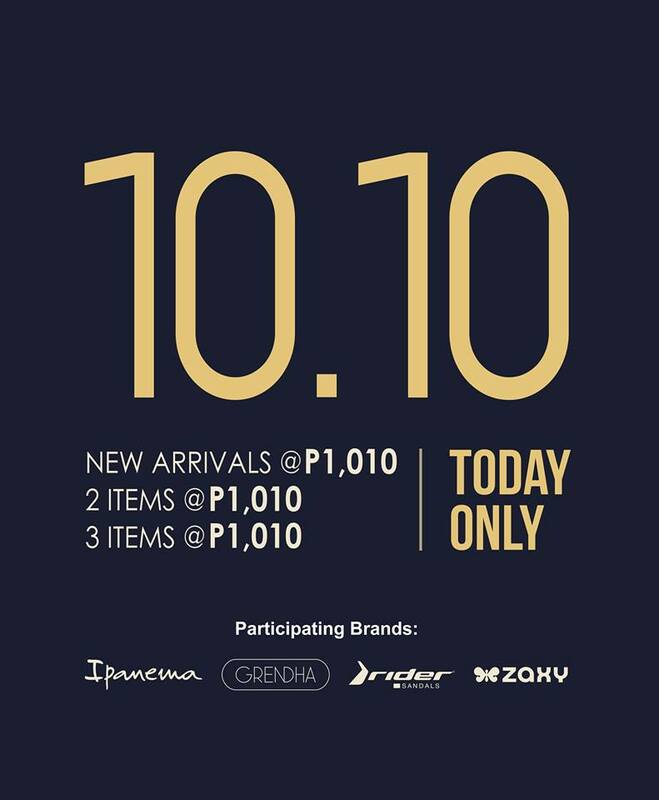 Get your favorite Brazilian footwear brands, Ipanema, Grendha, Rider & Zaxy for only P1,010.00 or 2-3 pairs for only P1,010 (on selected styles and collection only). Don't miss your chance to get this amazing deal in all Bambu Stores nationwide (excluding BAMBU Glorietta & Highstreet).